Devised to engage the next generation of architects, engineers and builders; the What Is It? series of installations is a kit of parts project sent to schools throughout the UK. Teaching the subjects of art, design, technology, history and even drama, schools are asked to build lesson plans around the What Is It? 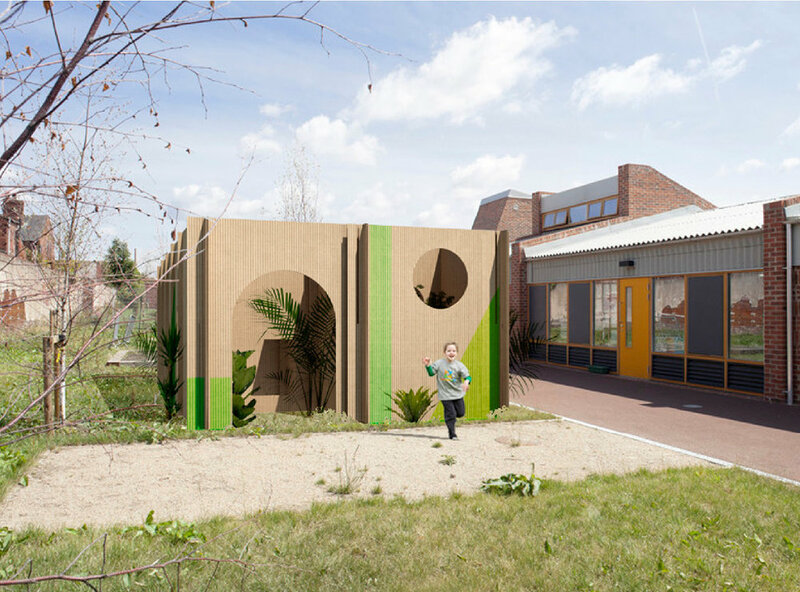 pack, promoting cross-subject collaboration to design, adapt, build and occupy new architecture or around school grounds. The kit of parts can create a temporary playground, an exhibition space or even be the backdrop to a school play. Each piece of reinforced card is laminated top and bottom to give the installations a life space of 1 month when placed outdoors. Schools are asked to document their experiences, tailoring further lessons to help develop the new-found interests of pupils and forming the basis for an exhibition at the RIBA building in central London.